The weather has certainly changed and I won't be spending any time out on my porch. But I'm thrilled to say I've got my last section complete. The top is together! Now to move on to the borders!!! 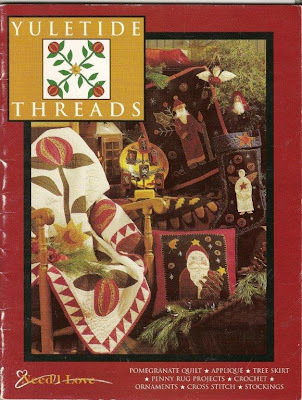 What I thought we could do for December is add the borders and work on the applique. If that means you want to do half, then that's great! I'll probably add the border, get the vines on, finish my bucket handle and get a few flowers or leaves appliqued. Then finish up in January. For those that stuck with this, thank you so much! It has been so fun to look forward with anticipation to the end of the month. Let's finish strong!! 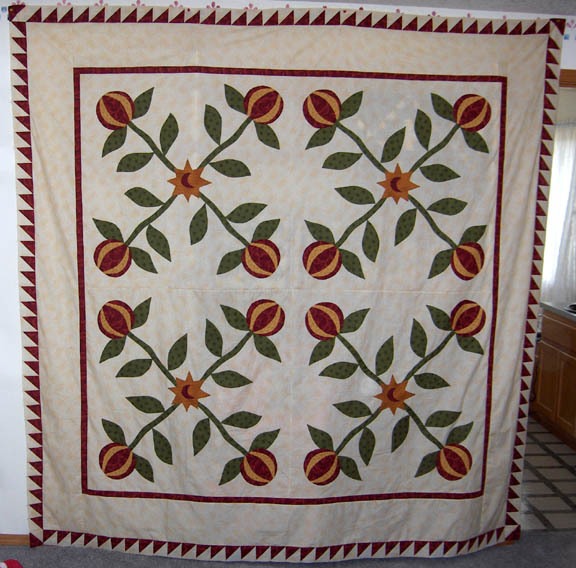 Can you believe I made the pomegranate quilt twice?! Here's the second one with a different border. I bartered this top for machine quilting.Many of you asked about the pattern. The blocks are 34"!! 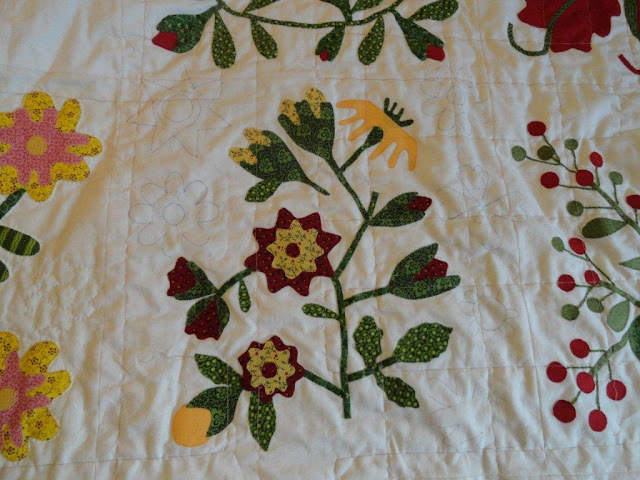 The pieces are big and easy to applique. 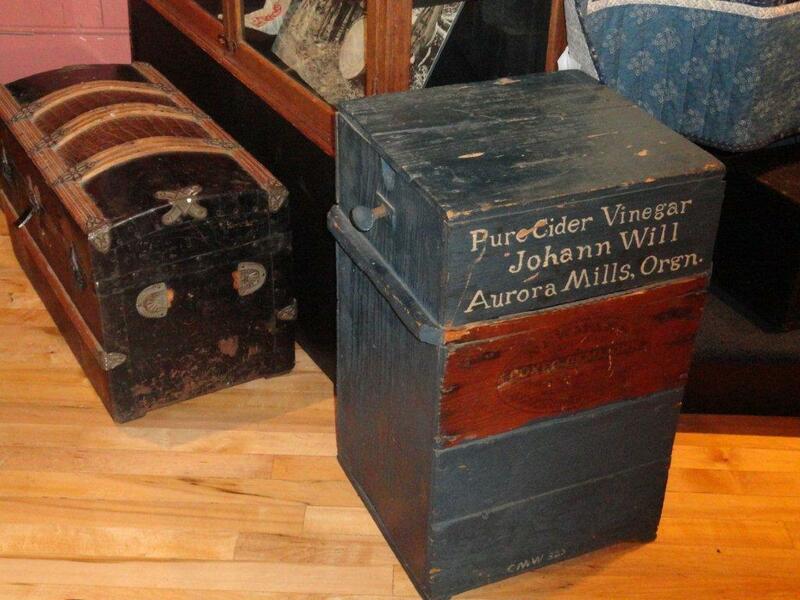 It was designed by Alma Allen, one of the Blackbird Design ladies. You can find the pattern in this booklet. Thank you all for the help in finding the name of the block. It has many names, Goose Tracks, Sage Bud of Wyoming, Carolina Lily and Doe & Darts. Here's my test block, finishing at 12". My plan is to put them on point with plain muslin for setting squares. I think I can do it if I am careful about cutting and sewing the set-in seams on the bias. This quilt, Chaos and Order, went up for sale today on the AAQI site. I posted about it on Facebook and it looks like it is sold. I'm thrilled of course. I have 4 more just waiting to be priced. I'll let you all know!! Tomorrow I'll post November's section of A Little Porch Time Quilt. Looking forward to seeing everybody's quilt!! 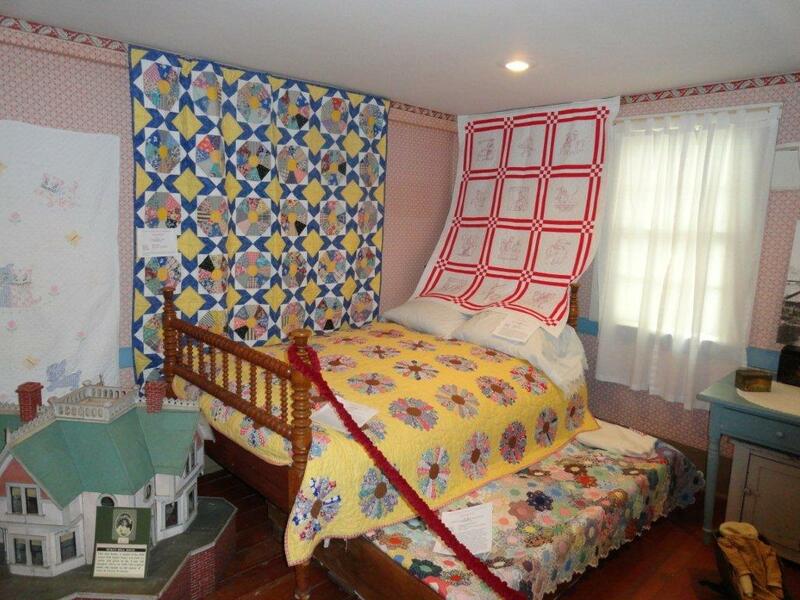 Sorry if I left the impression the quilts were staying on the banister. 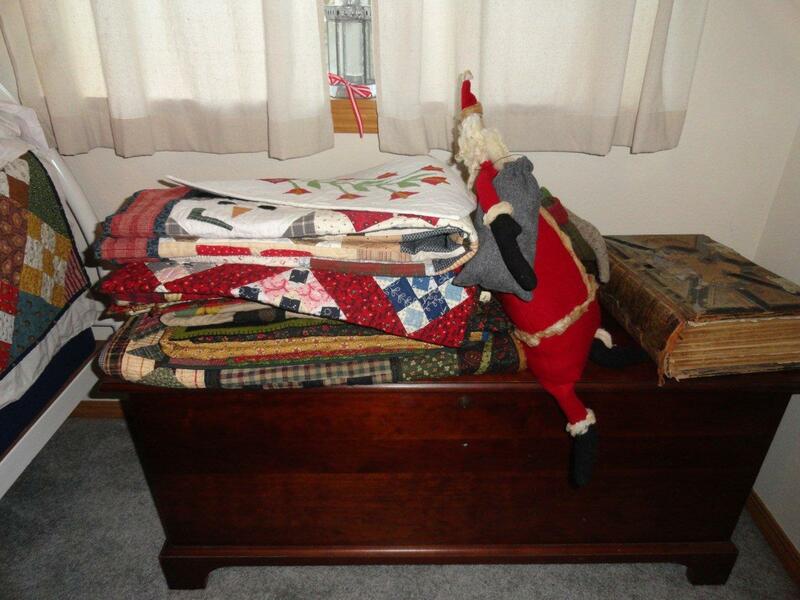 That was just a holding place while I took down my fall quilts and took out my anything that resembled a Christmas/winter quilt. My newest, the Irish Chain, is going on my bed this winter. My favorite, pomegranate is going on the guest bed. I've got plenty of room if you are in Central Oregon and want to come by for a visit. 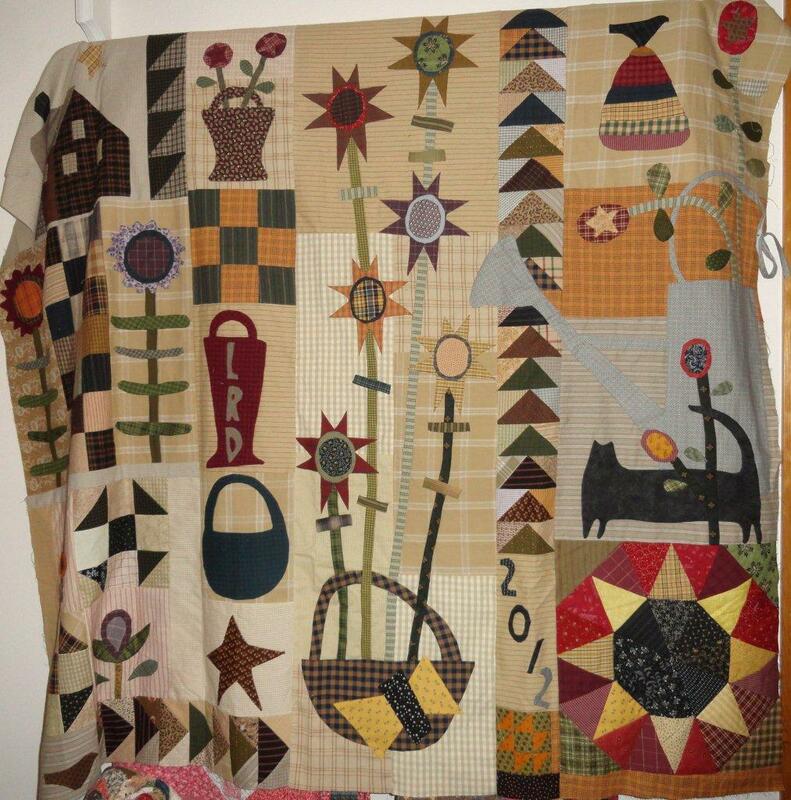 My Kansas Troubles quilt needed a wash, but I left it in the washer, while it was wet! Aargh!! It is hard to tell by the photo but the white has a pink tinge. I washed it again today in warm water with 6 color catchers. Yay! It's all white again!! 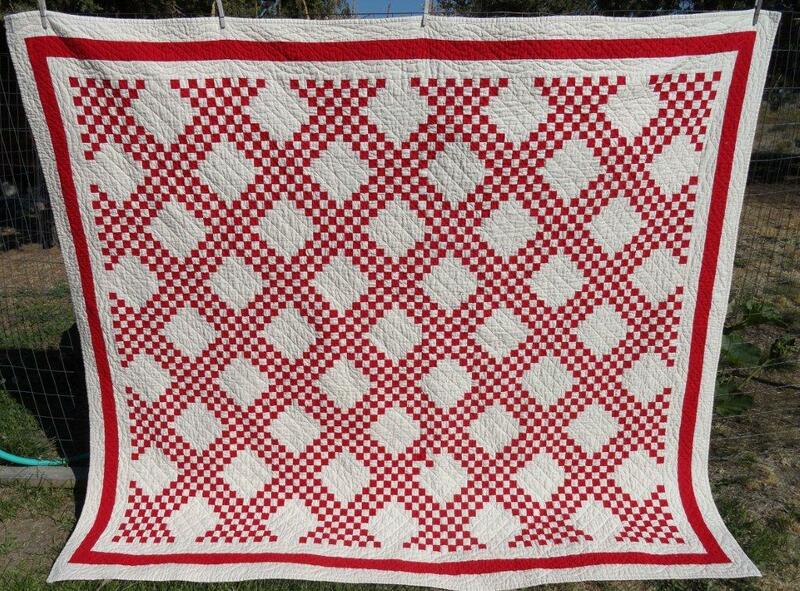 I'd like to make this block into a quilt for 2013. 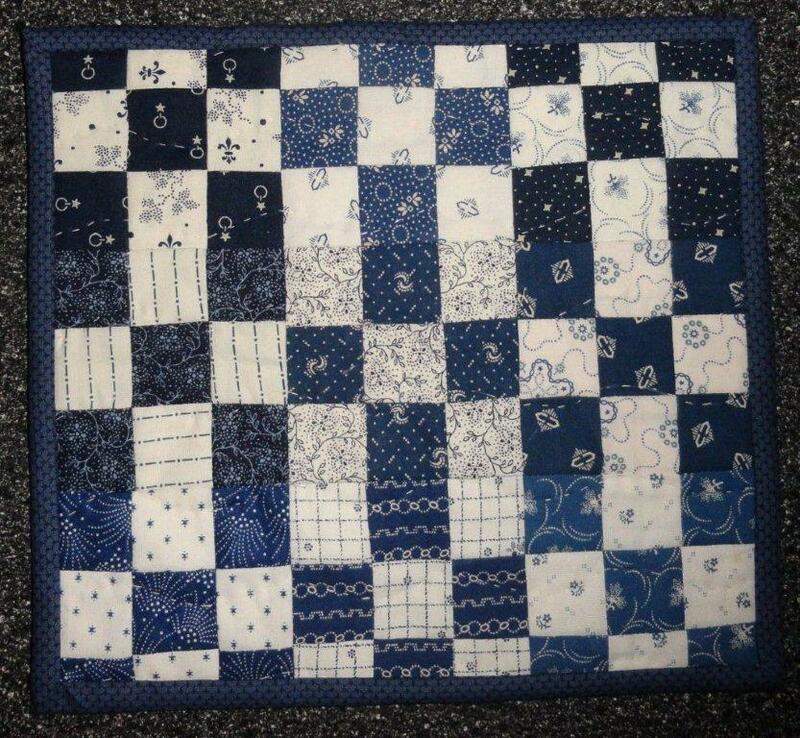 I can only find it as a single block in Electric Quilt. I put four blocks together to make this on a setting. Does this block have a name? Anybody know of a pattern? Any chance it is in a newer version of EQ? Thanks. Is there such a thing as decorating with too many quilts? Thank you all for your encouragement, comments, and quilty support and inspiration!! We have so much to be thankful for. I managed to get the latest installment of Just Takes Two done. Whew! Almost the end of the year, which means this project will almost be complete! For those of you doing A Little Porch Time with me, that last segment was a doozy! Karen's knee has been prohibiting her from sewing as much, and Lizzy is finally back in her house after Sandy. Do we want to give that last section until the end of December instead of November? I'm fine with whatever you ladies want to do. Susi and Juliann, how are you doing on this section? I've entered drawings for other people's small scraps too, so that also makes me a crazy quilter! Thanks to all of you that commented and "saved" the scraps from the trash. I cut out all the comments and had my husband draw. 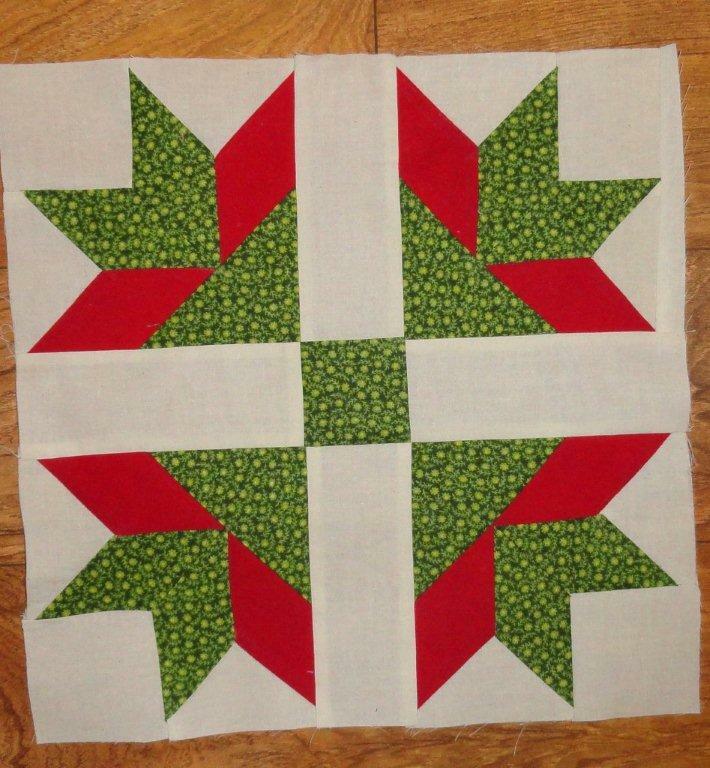 With that said the half square triangles (almost sewn) will be sent to Jovita! Please send me your mailing address and I'll get them off. Off to have lunch with my good friend, Randy and visit a quilt shop!! 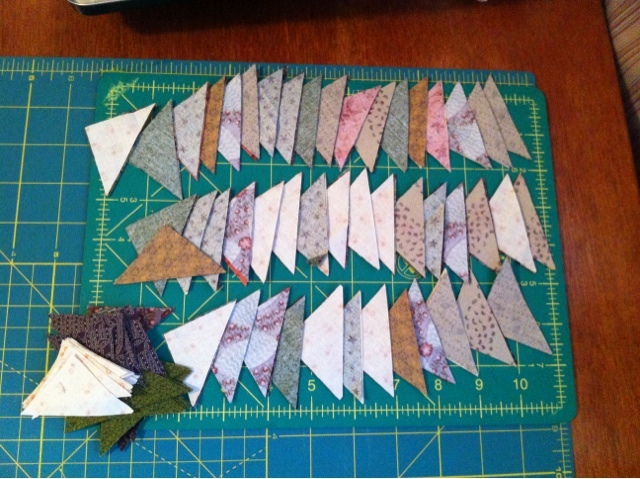 I've had to change directions on my challenge quilt and will not be sewing these little triangles all lined up. 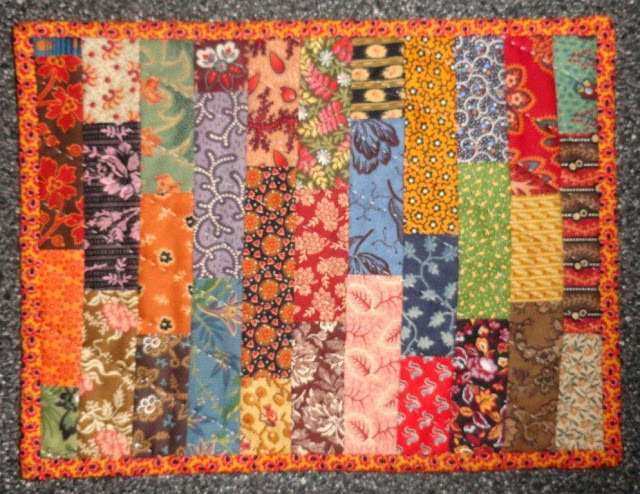 I was going to toss them, but then I thought some crazy quilter may actually WANT them! lol These are cut 1 7/8. I will happily put them in an envelope and post them on Monday. If there is more then one crazy person who wants these, then I'll draw a name. If you've missed out on the story of Sven you can catch up here and here and here. Do you see Sven on the sign? This is where I celebrated 50 in November. Angela (Mum) was a good sport and posed with Sven when we were done. 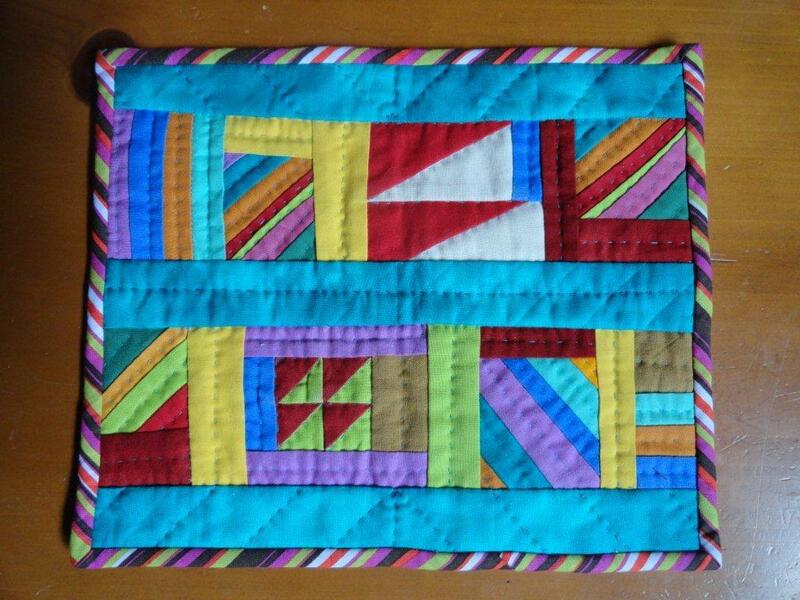 Here's my two blocks for Love, Laugh, Quilt. One is for the exchange and one is for a charity quilt. It seems like we quilt bloggers run in the same neighborhood so I thought it would fun to join in on this one. Thanks Beth! I recently received an email from Pam about a wonderful project that stems from her father's health problems. Isn't that wonderful how we can take a sad situation and turn it into something positive and good? Please have a look at this blog post and see if you could help her out on Project 40. 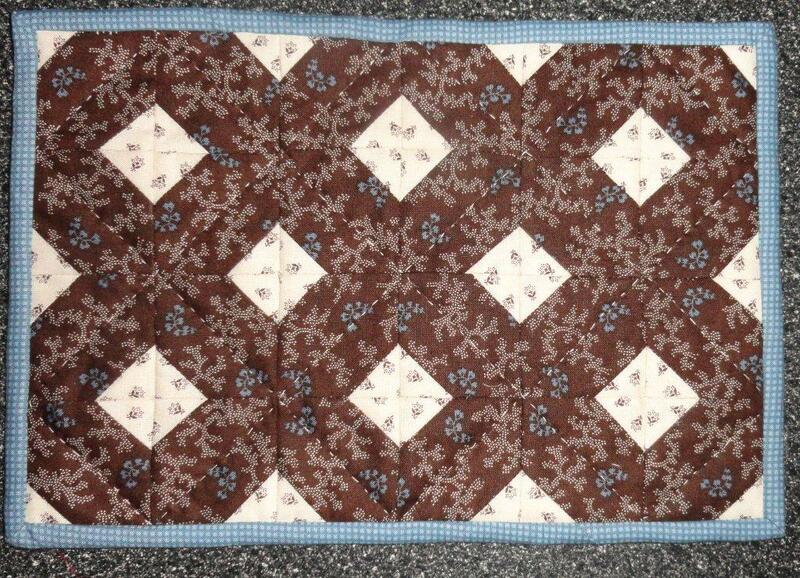 Jean Belle at Quilt Awhile recently finished her Mountain Trails quilt using black as the stepping stones. It is wonderful! Please take a look! Thanks for letting me know it was complete Jean. My plan was to go to the PJ sale in Sisters on Saturday morning. I knew snow was in the forecast, but hey, who really believes that until you actually see it? Not me! I set my alarm for 5:15 am, since it is about an hour drive. Looked out the window to find this! A lovely white carpet of snow. I decided against risking the drive, especially that early in the morning. We were heading to Portland that day anyway to celebrate hubby's birthday with our kids. I took these photos when I got out of bed later. While on a walk before leaving town the blue sky was trying to peak through. Brrr, it was cold though. Our first stop was Fabric Depot. I was a woman on a mission. I zoomed right in on the Sewline threader! I was so thrilled they carried it. What a lovely wall full of notions....everything 30% off over the weekend. Even better!! Here's a a family mug shot before going out to dinner. 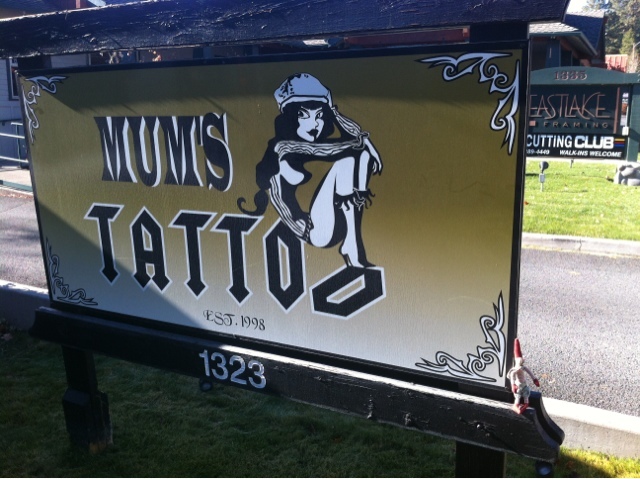 You never know what you'll find in Portland, Oregon!! Thank you all who voted for my red and white Irish Chain. As of right now as I write this post, I do not know the results. I'll update this blog post when I find out. Who knew I would get so many comments and suggestions on a needle threader? Not me! The Stitchin Post is having their Pajama Sale tomorrow- the earlier you get there, the better the discount. Wear your PJ's for an extra 5%. 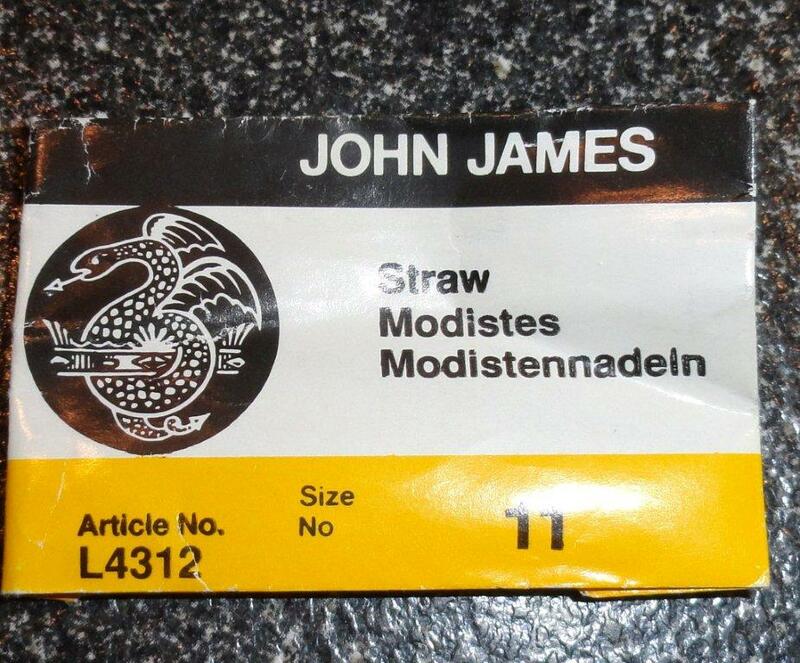 I plan on looking for the Sewline threader. I'm a visual learner so I love THIS video about it. And if neither of those are available I'll pick up the Clover. Thank you all for your input! Quilters are never shy about recommending a product, are they? 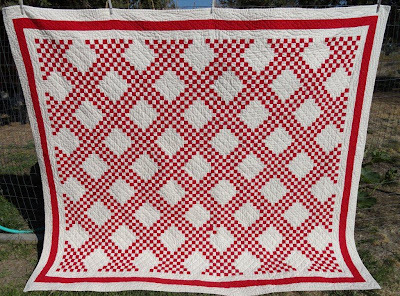 Every Stitch and welcome her to blogland! 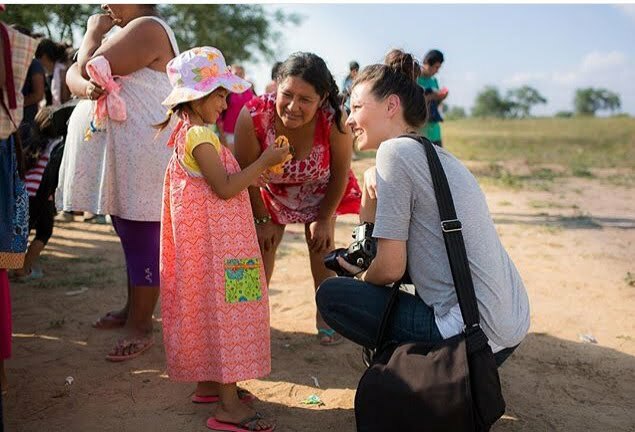 Make sure to go back and read (or at least look at the photos!) of all 5 posts! And just so you know, she commented on my blog and I clicked on the link to check out her profile. 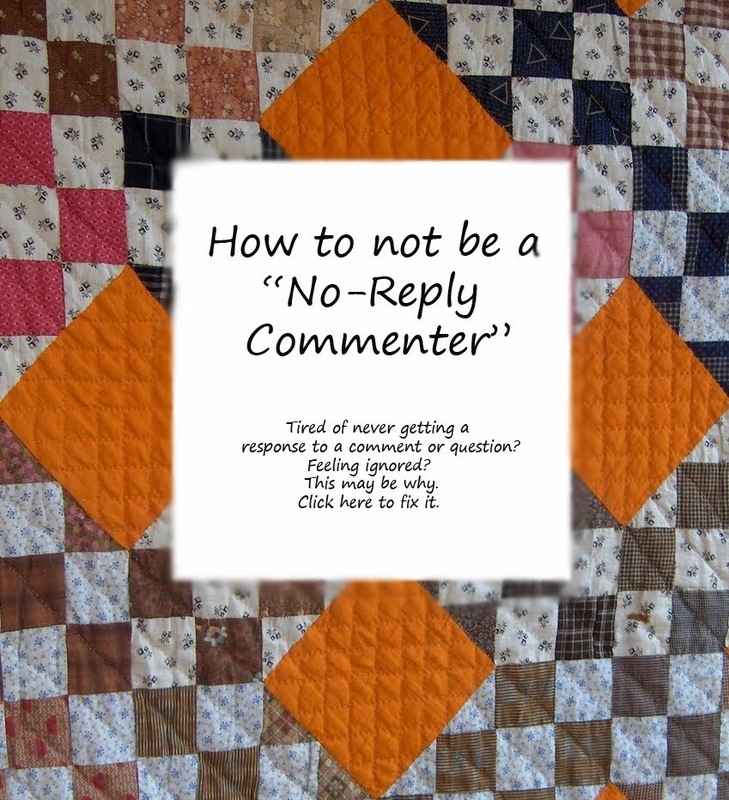 If you read and do not leave comments, that's ok, but it sure makes it more fun when we can interact. I've been working on my challenge project that I showed you here. I was having a hard time figuring out the math since my blocks are not square. I don't even know how to Electric Quilt it, but YAY! I figured it out today, so now that I know what I'm doing I should be able to move forward much quicker on this. How are you doing on yours Barb, Sue and Jill? 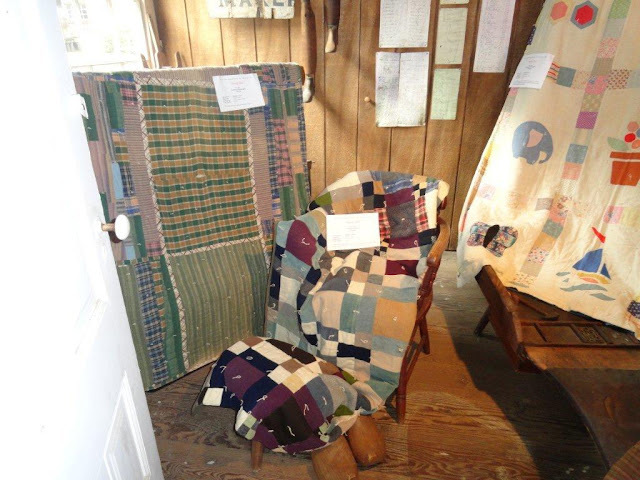 I'll leave you with some more great photos from the Aurora Quilt Show I went to last month. 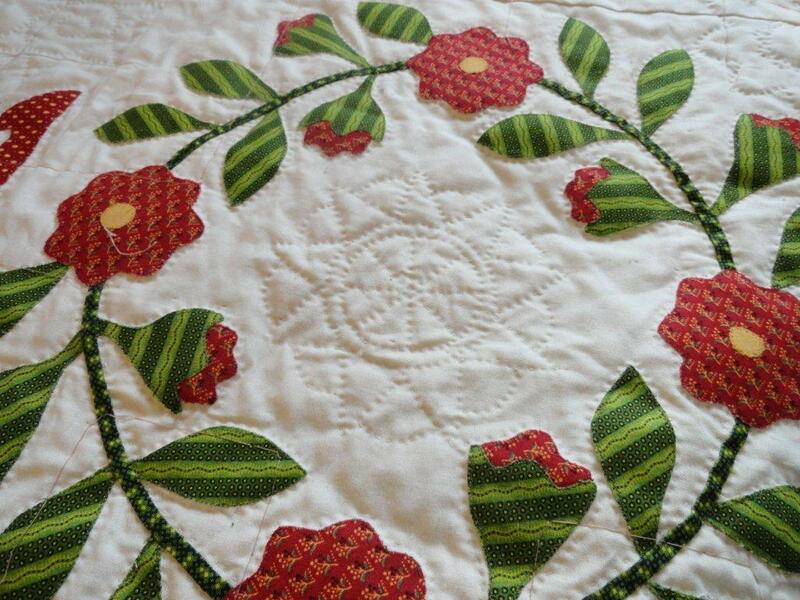 I'm actually starting the quilting on my 11th block of Beyond the Cherry Tree. That's 2/3 (not counting the border or the cross hatch)Woo-Hoo!! 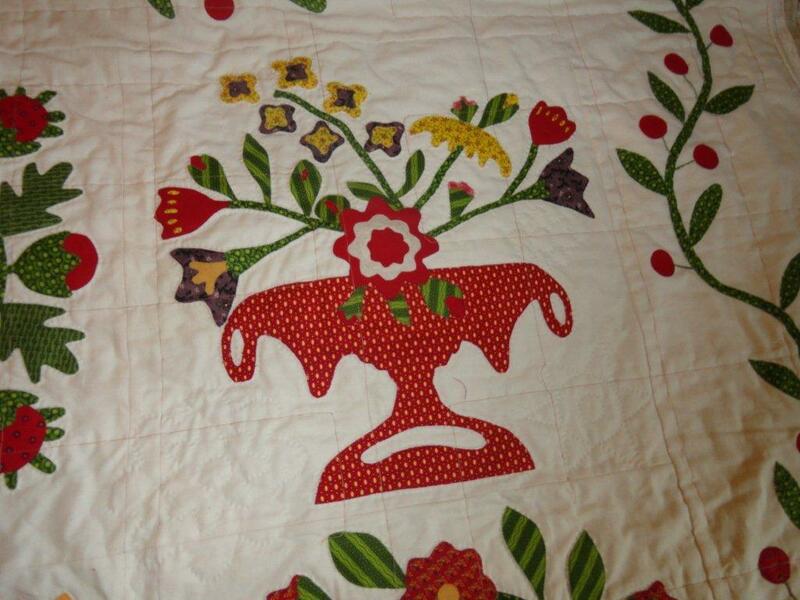 I made stencils and marked it with my Frixion pen, then I will outline quilt the applique. 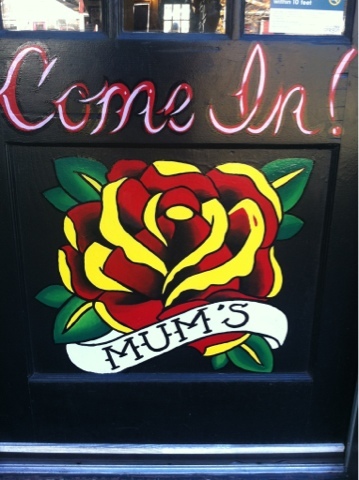 Love this stencil. What I'm using is what was on the original quilt. 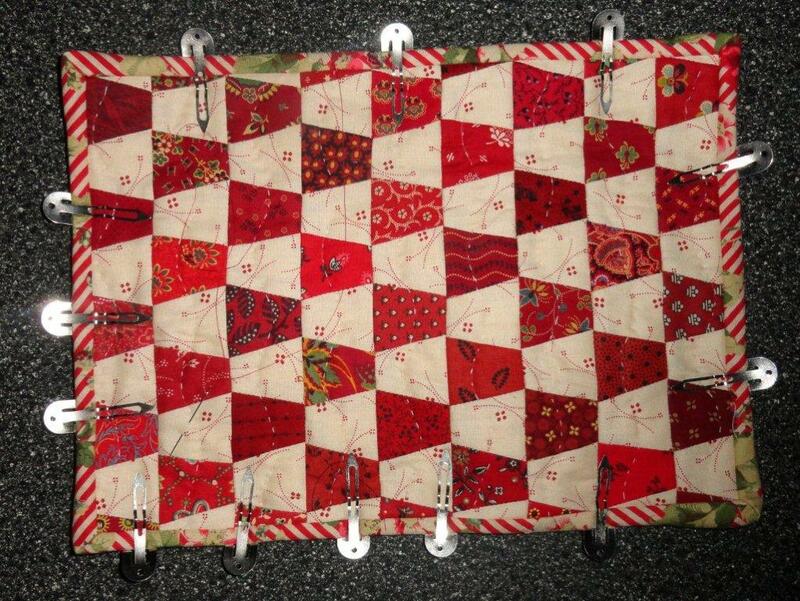 Very quirky and it is making it much more interesting to quilt. Here's one I just finished. I love these needles, but am having a harder time of threading them these days. 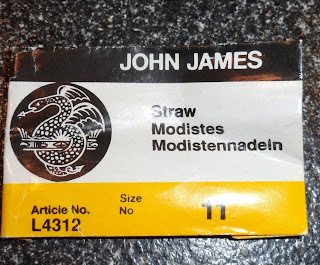 Anybody have any suggestions for a long thin straw needle with a big eye? I'm thinking of purchasing a threader like this. Any thoughts on that? My Irish Chain quilt made it to the finals in the Bloggers Quilt Festival for the two color quilt category. If you have a moment will you please go here and vote for my quilt? And please, exercise your American right to vote! 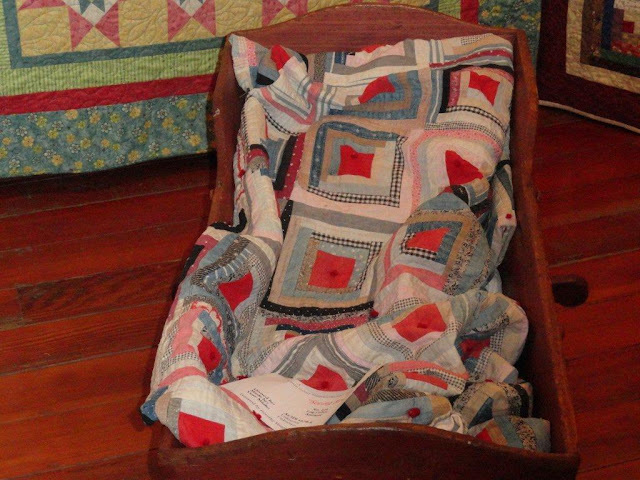 Small Quilts & Doll Quilts blog. Congratulations Judy you won the 5 red fat quarters. Please send me your mailing address and I'll get them posted. I wish I had something to send to all of you for participating. I have so much fun doing these quiltalongs! I'm always on the lookout for another one to share on my blog. Alzheimer's Art Quilt Initiative broke all records at Houston this year. "The Warden" went to Houston and was sold. The other 4 are registered and as soon as I have a number I'll send them off. And without further ado, here is the latest batch of Just Takes Two. The little curved block isn't great, but with all the other blocks it will be just fine. Here is the first set of flying geese I made. These are monsters! They measure 3x6 or some crazy big size like that! LOL I've been using Eleanor Burns ruler to make the ones for JT2 and I'm not sure why I thought I needed the super size. Maybe I can work them into the backing. November is National Alzheimer’s Disease Awareness Month. How appropriate that AAQI is in Houston selling hundreds and hundreds of priority quilts! The Celebrity Invitational Quilt Auction is on now! Bid early! Bid often! 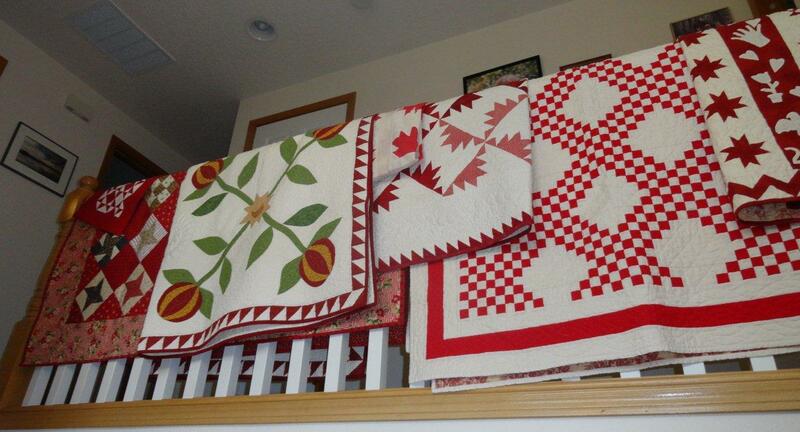 Here are my recent donation quilts. Chaos & Order will be up for sale soon. I'll be sure to let you know when it is. 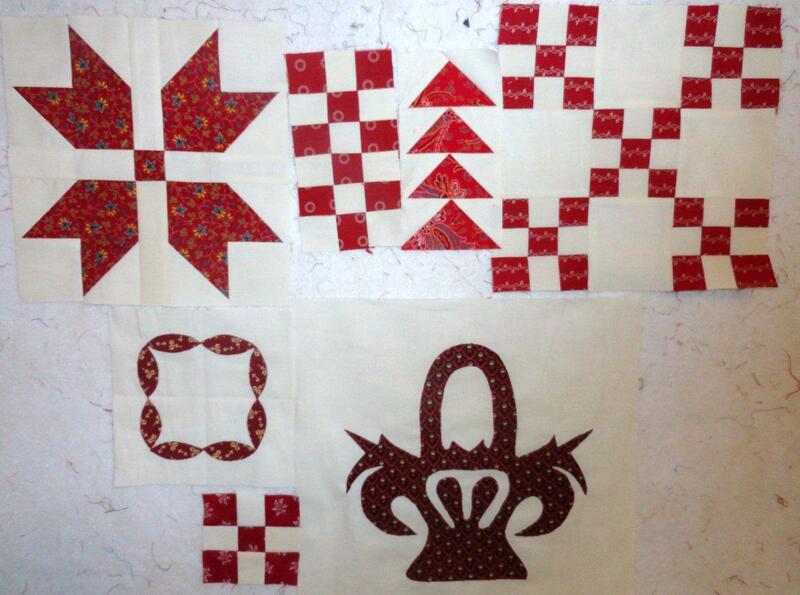 These next 4 were made by Kathie from Inspired by Antique Quilts then sent to me to finish. 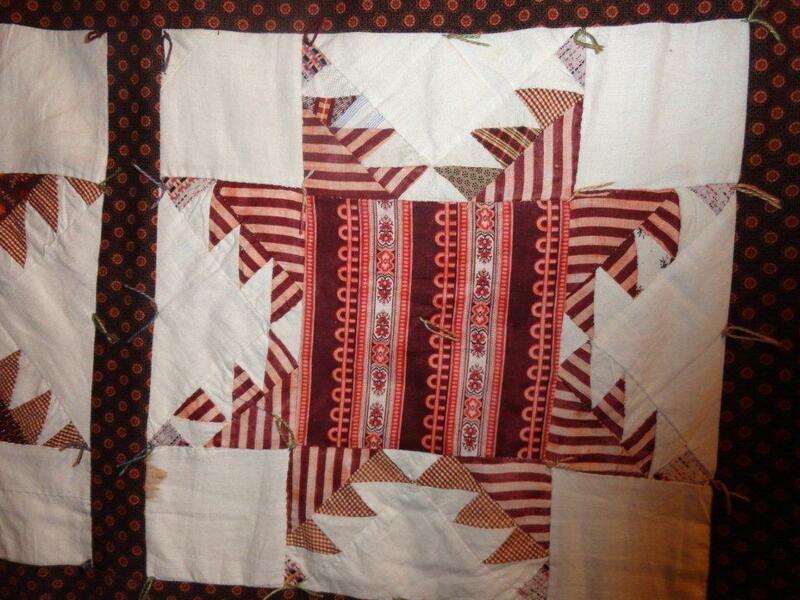 I've been quilting one each night and should finish the binding on the last one today. Bummer I had to trim this one to make it the correct size. I think it still looks good. My favorite of the four. I thought the binding added a bit of holiday pizazz.